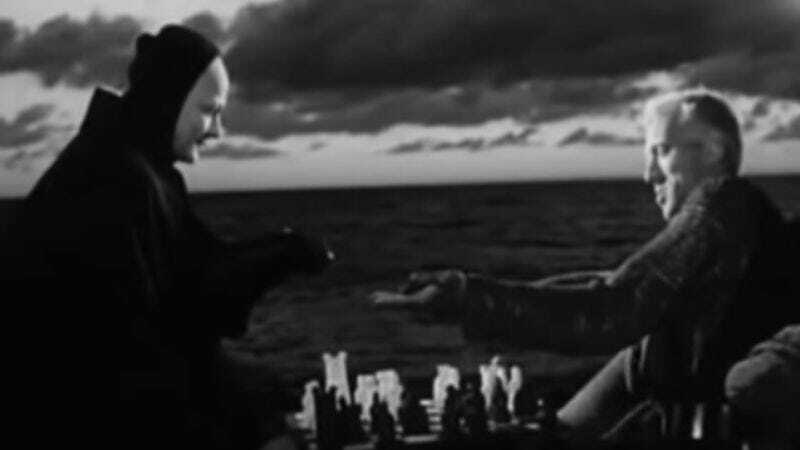 If you’re anything like us, you see the words “Swedish Chef and The Seventh Seal mashup” and think to yourself, “That sounds idiotic.” And you’d be right. But it also turns out to be one of those rare cases of something being so stupid, it passes through the looking glass and becomes delightfully absurd. Sure, we could pretend we didn’t giggle out loud in the office, drawing blank stares from our co-workers, but that would be a lie. The dour solemnity of Ingmar Bergman’s classic turns out to be just the right setting for an injection of the gibberish-spouting Muppet‘s random mélange of vaguely Scandinavian-accented silliness. The goofy music in the background of all of Death’s new dialogue is just the icing on this Swedish cake. Thank you, Youtuber Jon Lefkovitz, for today’s unexpected gift. We will now sit back and wait for Hour Of The Wolf to get a similar treatment.